Q. The catalog says a book is at the Botanical Research Institute. Where is that? 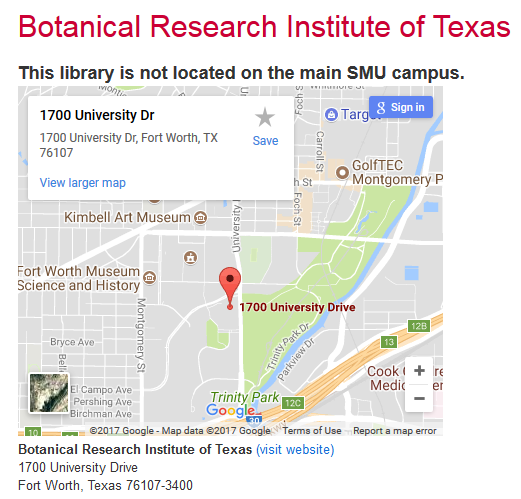 The Botanical Research Institute of Texas is located in Forth Worth, Texas. Books and specimens that were formally part of the SMU collections are now at the BRIT Library and Herbarium. The BRIT library is open by appointment only. Please contact the library at library@brit.org for more information.